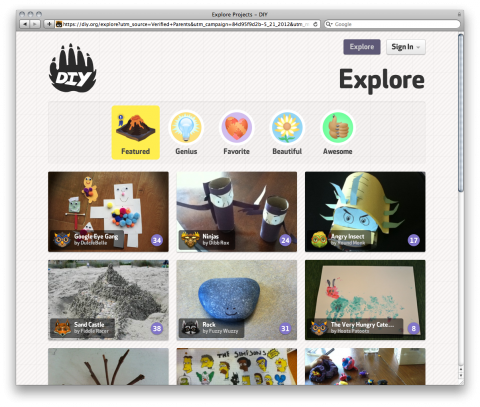 DIY just added the explore stream which makes me want to go home and make something with my kids asap. Kids crafts/art is the best. Tina, have you seen Crafty Crow? It’s a good source of pre-school age craft ideas.